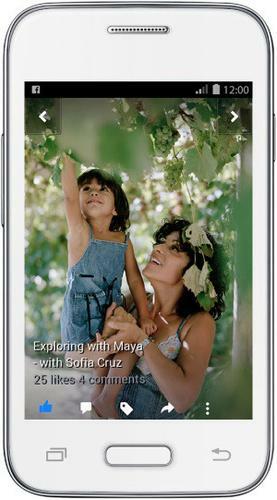 "Facebook Lite" is less than 1 megabyte in size and is designed for areas of low connectivity. Facebook has released a stripped down version of its Android app aimed at growing its service in developing countries and other areas with poor connectivity. The Facebook Lite app is less than 1MB in size -- far less than the regular app -- making it quick to download and install. It retains core features including the News Feed, status updates, photos and notifications, Facebook said. The company had been testing the app since at least January. The app started to roll out Thursday in some Asian countries, and will be available in parts of Latin America, Africa and Europe in the coming weeks. It arrives at a time when Facebook is working aggressively to expand into new markets. The company also has a project called Internet.org, which provides free access to Facebook and selected other services in India, Ghana, Kenya, and other developing countries. More than 80 percent of Facebook's daily users are located outside the U.S. and Canada, and it hopes to reach many more users who live in areas where network services are poor or data costs prohibitively expensive. The company didn't announce any plans for a similar stripped down app for iOS.